The FlexMulti instrument family allows communication with a PC, PXI Express Chassis or a Laptop using various interfaces including USB, PCI-Express or PXI-Express. A FlexMulti can also be connected on a Local Area Network (LAN) using the Ethernet link. Each FlexMulti device supports a common set of I/O that include 16 discrete I/O plus 8 transmit and 8 receive ports where each port can be individually programmed as ARINC 429, ARINC 717, serial ASYNC RS-422 / 485, HDLC/SDLC, Pulse/Frequency generator or even discrete I/O. In addition to the common set of I/O, each FlexMulti device supports a dedicated set of databus ports including ARINC 664/AFDX, CAN Bus, Serial Async, MIL-STD-1553 with EBR and ARINC 629. Each FlexMulti transmitter and receiver port allows very precise message timetagging. 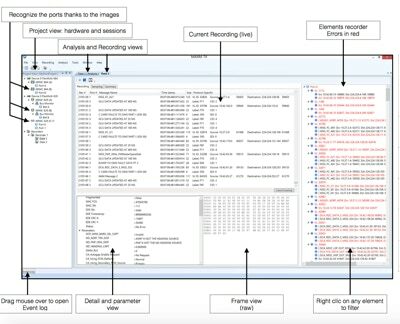 Multiple FlexMultis can be used while keeping all databus time-correlated thanks to the device to device synchronization mechanism. All FlexMultis also support IRIG-B I/O synchronization. 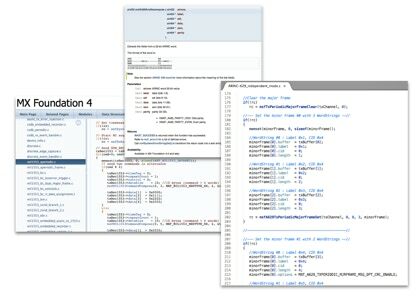 FlexMulti devices support embedded code programming to operate as standalone or remote devices. The FlexMulti can be used on a desktop or rack-mounted using the supplied hardware. 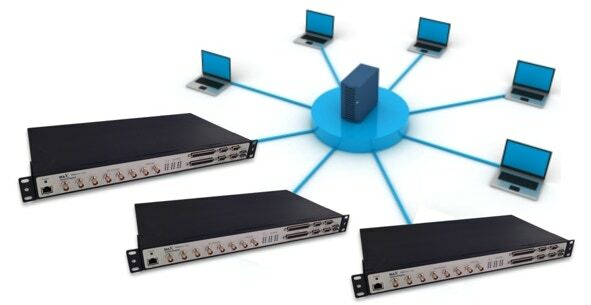 The FlexMulti instruments can be controlled using Ethernet, allowing multiple devices on a LAN to be accessed by client computers on the network. The FlexMulti instruments can also be controlled using USB. 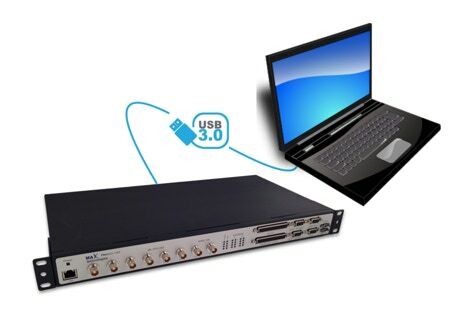 This configuration is ideal for a mobile solution with a Laptop equipped with a USB 3 or USB 2 interface. The FlexMulti instruments can also be controlled using PXI Express connectivity. This configuration allows integration of the FlexMulti in a lab equipped with a PXI Express chassis. The FlexMulti instruments can also be controlled using PCI Express connectivity. This configuration allows control of the FlexMulti from a desktop PC with an available PCI Express slot. We can customize the FlexMulti instruments to meet your specific requirements. Whether you need to support a special I/O, databus protocols or embedded software, our engineering team can help you by adapting a FlexMulti to suit your needs. Need a FlexMulti that can meet vibrations and EMI for flight testing ? Our team have the experience in the product customization and environments testing to meet flightworthy specifications.